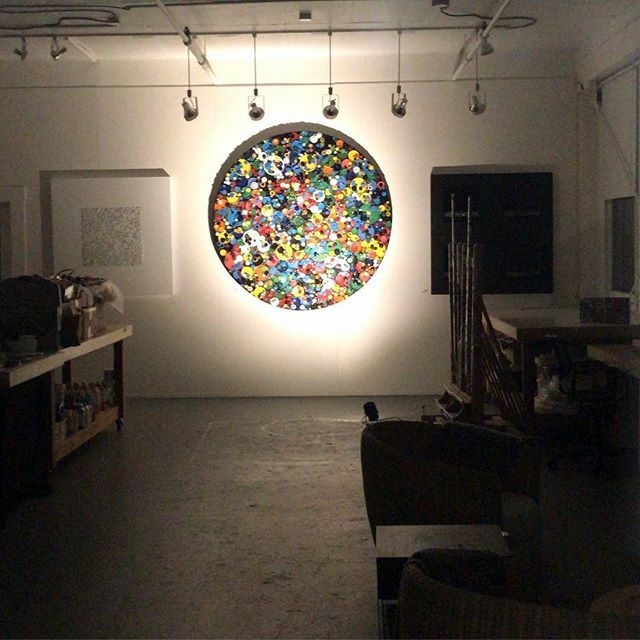 Looking a bit calm and quiet in the studio this afternoon: View is of a recently completed 72” round (1.82m)“Circumnavigate” from the “Circumference Series” Piece is on a 4” deep birch bentwood edge panel. DM me if interested in purchase. Stay tuned for more art creation and upcoming show announcements from my studio in Sausalito !! . . . . . .